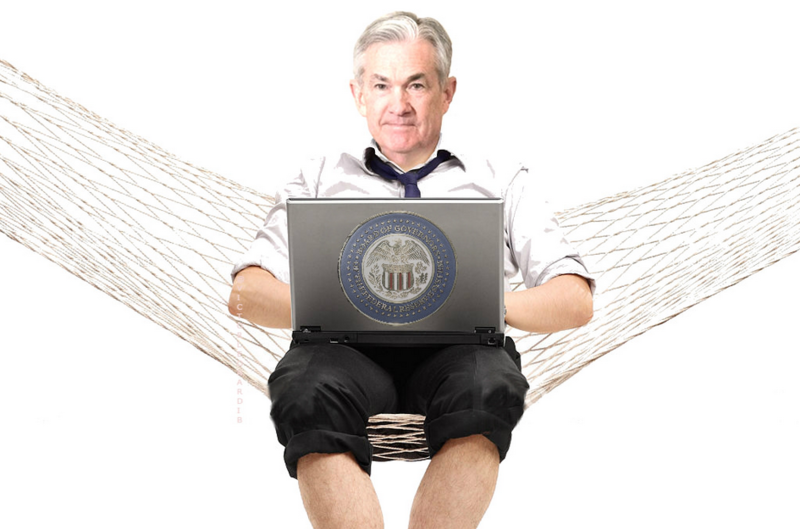 Goldman Sachs FOMC preview: How far will the Fed take the 'patient' theme? This week's Federal Reserve decision isn't intriguing in terms of rates but it's important for guidance and communication, something that could spark a market reaction. Goldman Sachs says to watch the projections and dots closely for signs of how long rates will stay flat. "The main question for the March meeting is just how far Fed ofﬁcials will take n the new theme of patience and the new perspective on inﬂation in their next set of projections," they write in a note. What's interesting is that market conditions have changed considerably from January, when stocks were beaten down. Now the mood is much better and economic data has stabilized. However they don't see a reversal from the Fed. Instead, the committee has taken a 'whites of the eyes' view on inflation now that means the patience will endure until there is a clear sign of inflation. "The new approach reﬂects a shift in the Committee's view of inﬂation risks that could prove more enduring than the impact of the FCI tightening. Fed ofﬁcials have increasingly downplayed upside inﬂation risks by pointing to better-anchored inﬂation expectations and a less steep Phillips curve, questioning the wage-price link, and downplaying the relevance of historical episodes of inﬂationary overheating," they write. Key for this meeting will be signals in the dot plot, which they expect to continue tilting upward. "The December dots showed a median projection of 2 hikes in 2019, 1 hike in 2020, and no hikes in 2021, for a terminal funds rate of 3-3.25%. In March, we expect the median dot to show just one hike over the forecast horizon, most likely in 2020, for a terminal funds rate of 2.5-2.75%," they write. At the same time, they see the opening paragraph of the statement revised to say growth is 'moderate', along with a moderation of consumer spending and slower jobs gains. Goldman continues to forecast a hike in December but the economists don't sound overly enthusiastic about that call. Overall, we still see a December hike as the most likely outcome under our forecast of growth modestly above trend and core inﬂation modestly above 2%. But the margin for error is relatively small so that the risks are tilted toward delay and our probability-weighted forecast is now just 0.4 net hikes for 2019.